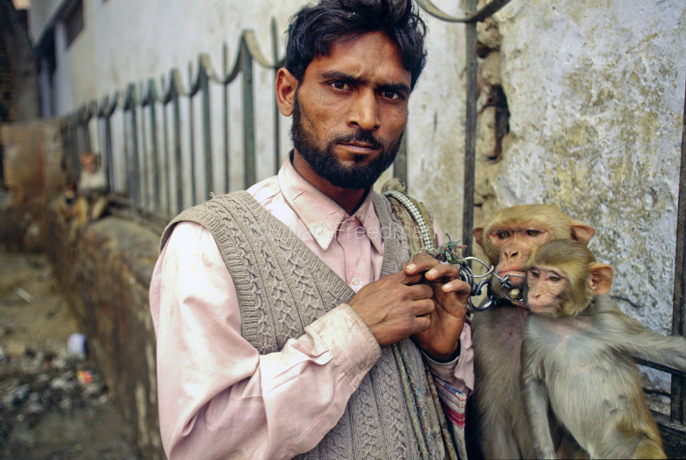 I’ve written several times over the last few years about Delhi’s Kathputli Colony (or as I knew it, Shadipur Depot) – that Dickensian maze of street performers and magicians that somehow floats on the imagination of the city. This time however, it looks like the city will finally swallow the place. 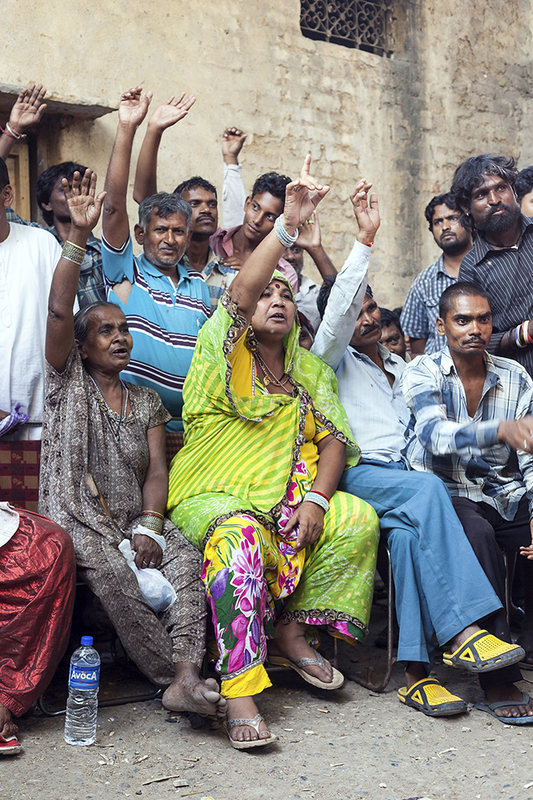 According to Tehelka Magazine, residents of the ‘illegal’ slum – some 3500 families that have been there for forty years – may have to move soon to a re-development far to the North. The site at Shadipur where the land was once worthless is now, as the city grows, worth a fortune. It was sold by the the Delhi Development Authority in 2009 to the Mumbai-beased Raheja Builders however, at what Tehelka suggests was seriously undervalued price to make way for a high rise developments. These would, it was promised, include social housing for the performers families. It seems though that even on paper, the proposed number of dwellings for the artists is far short of the actual number needed. Perhaps with some good reason, the artists families don’t believe that the authorities will make good on their promises to allow them back to the area when it is developed. The project is now stuck in limbo as the Delhi Urban Arts Commission has objected to it. The traditional performers are caught. If they move, they lose their homes and their livelihoods. If they stay, they are likely to be evicted and from previous scenarios that may well be violent. They know however that they are simply powerless actors in a city’s development, caught as they are between tradition and a very cruel version of modernity. Since I made a story in Shadipur nearly a dozen years ago, quite a few photographers have worked here and a film was even made of the struggles of the residents. In some senses it was an easy story; a fairy tale in a bleak metropolis. Most people’s recent treatment of it completely ignored the fact that as Delhi grows and divides even more sharply between those that produce it’s wealth and those that exploit it, the story is no longer about a quaint tinsel-town slum. It is about how Delhi will look in the future. 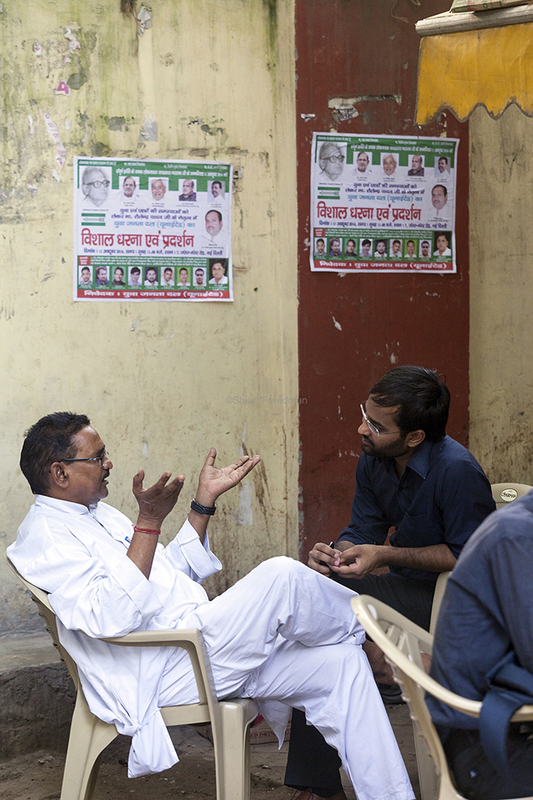 It is about what kind of society India wants for its cities and its people. The irony is that many countries celebrate their street culture … and make them a tourist attraction: one has only to think of Singapore and Vietnam. Delhi’s depressing desire to imitate a corporate driven monoculture is certain to lead to a lessening of the city’s heritage. As I’ve said many times here, I have no sentimental attachment to poverty and no Raj-tinted spectacles through which I view Delhi. I both hate and love the city but the scales are now tipped so far against certain sections of its people that I find it difficult sometimes to walk it’s streets and look some people in the eye. I’ve decided to show some less well known images from the set – some that I have rediscovered. I hope you like them. India – New Delhi – Reenu, 15 and her brother practice their contortions. Reenu and her family are trained by her mother, herself a former acrobat. The children, when babies, were stretched and contorted to make their bones pliable for the act. 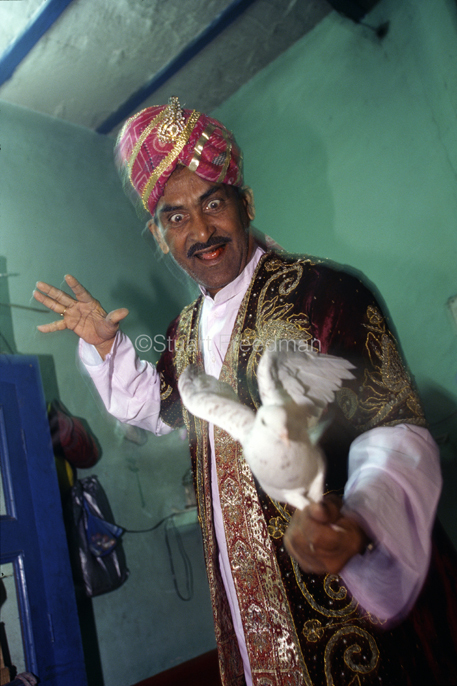 The Kathiputli Colony in the Shadipur Depot slum is home to hundreds of (originally Rajasthani) performers. 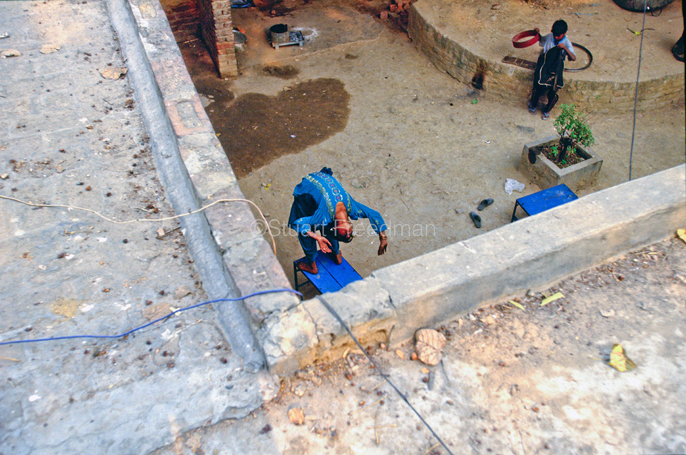 The artistes who live here – from magicians, acrobats, musicians, dancers and puppeteers are often international renowed but always return to the Shadipur slum. I’m a big fan of The Travel Photographer’s blog and indeed I’ve been lucky enough to have my work featured there several times. It’s a lovely showcase. Imitation as they say, is the sincerest form of flattery. So imagine how flattered I felt when I saw a similar set to one that I’d previously had shown on that blog on a link to another photographer’s archive page who has also just been featured. Lovely. And published too – in M Magazine, the weekend supplement of The National in the UAE. 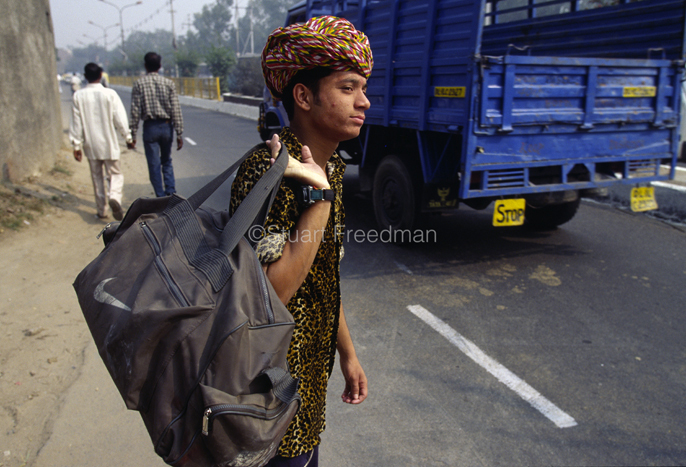 Of course I am not suggesting that I am the only photographer that has ever shot in Shadipur – far from it – Zackary Canepari shot it recently as I am sure have lots of people. For me though, the much underrated Australian photographer Philip Gostelow did it best (and before me) in black and white. What links them though is their unique vision. Their ability to see things their way. 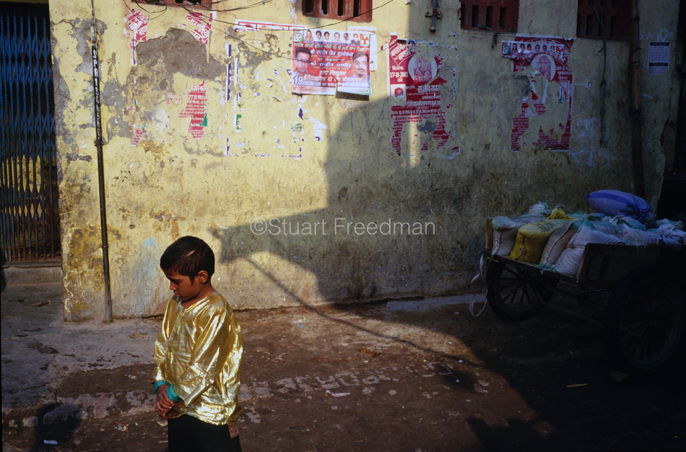 I suppose if you were interested in seeing original work then you could look at the set on my website here and you could also read my reportage here… all the words are, please note ©Stuart Freedman.